A twelfth-generation New Englander, freelance writer Karen Hammond grew up near Boston and went to college in New Hampshire. Although she enjoyed living and traveling in Europe for several years, she now lives and writes in a tiny fishing village on an island off the coast of Maine. A freelance writer and editor throughout her adult life, her work appears in national magazines and newspapers. 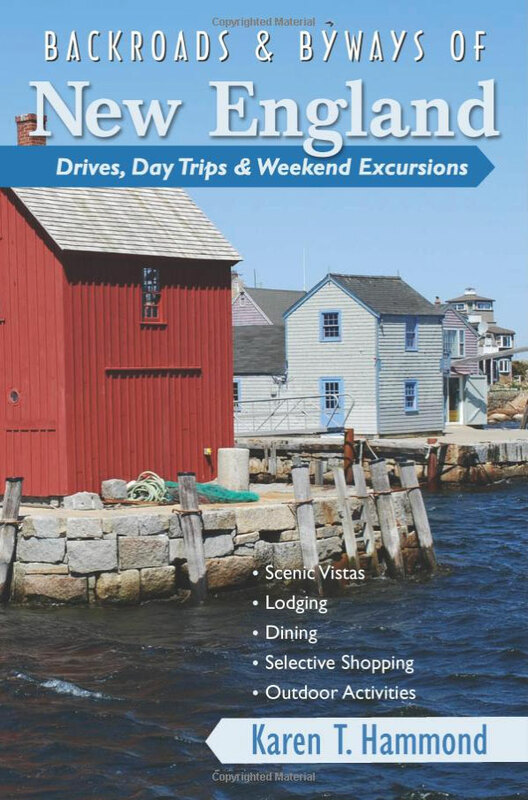 She is the author of the popular guidebook Backroads & Byways of New England: Drives, Day Trips & Weekend Excursions (Countryman Press). Karen writes about travel, food, wine, women’s health, parenting, and etiquette—interests that may seem diverse but often converge in surprising ways. American Lawyer, American Profile, Family Circle, Runner's World, The Writer, Weight Watchers, Wine Enthusiast, Wine Spectator, Woman's Day, Yoga Journal, and many others. Arkansas Democrat-Gazette, Atlanta Journal-Constitution, Boston Globe, Christian Science Monitor, Columbus Dispatch, Fort Worth Star-Telegram, Maine Sunday Telegram, Miami Herald, Pittsburgh Post-Gazette, Vancouver Sun, and many others. Poetry and essays published in literary magazines including The Montserrat Review and Perceptions and in anthologies.